We don’t often think of reading as an activity, but we should! 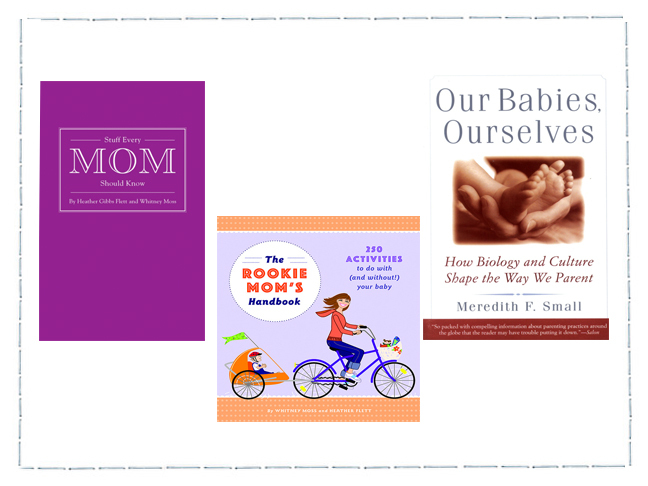 Young moms are some of the busiest people I know, so if you’re a new mom, you might find it hard to imagine how you will ever find the time for pleasure reading amidst your busy schedule, so here’s a few books that might just help get you started. We’re fortunate enough to have a really fantastic library in our city and the other day I realized it’s been far too long since I’ve visited it. So last weekend I purposefully set aside one hour to indulge myself with a visit to the library. As it turns out, it was a fantastically relaxing and inspiring experience and it also was entirely free of charge, so I wanted to share my renewed inspiration for reading with all of you. And while browsing through the stacks at the library, it occurred to me it might be a fun personal challenge for 2013 to begin working at finding just a few minutes in each day to commit to reading at least one new book a month. 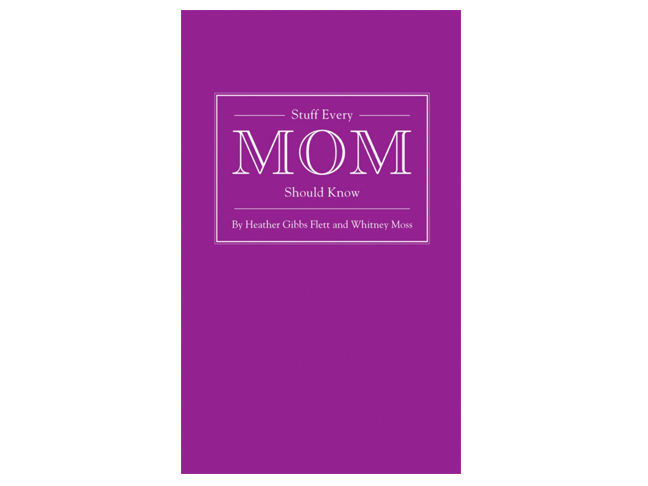 And what better place to begin reading again, than with a book that will inspire, refresh and recharge your arsenal of “mom skills”, while at the same time, increasing your knowledge and understanding of the very important work that moms do every day. This first book is appropriately titled Stuff Every Mom Should Know and it’s a great jumping off place to begin reading again, because it’s a super easy read and it provides some really great practical advice from real moms for new moms . You’ll find lots of great tips and advice ranging all the way from baby to tweens and the information is presented in such a down to earth, non-overwhelming way that it will appeal to almost any new mom or would make a fantastic baby shower gift too. 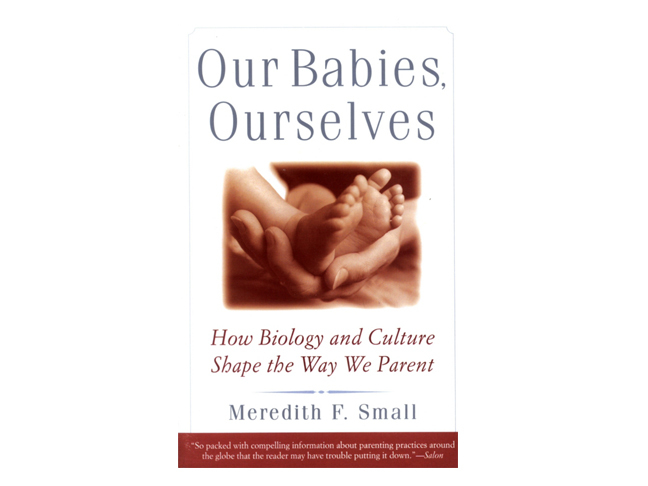 Our Babies, Ourselves, brings to light some of the Nature versus Nurture controversy and provides some thought provoking insights into practical parenting, along with providing some scientific analysis. All new parents are faced with the somewhat daunting task of making seemingly unending decisions regarding the best way to care for their baby. Oftentimes, we turn to family and friends for guidance on parenting, but this book takes things a step further by causing us to examine the subtle and often unconscious roles that culture can play in influencing some of our parenting decisions. I can’t imagine any parent that would not find this book to be and entertaining and enlightening read. 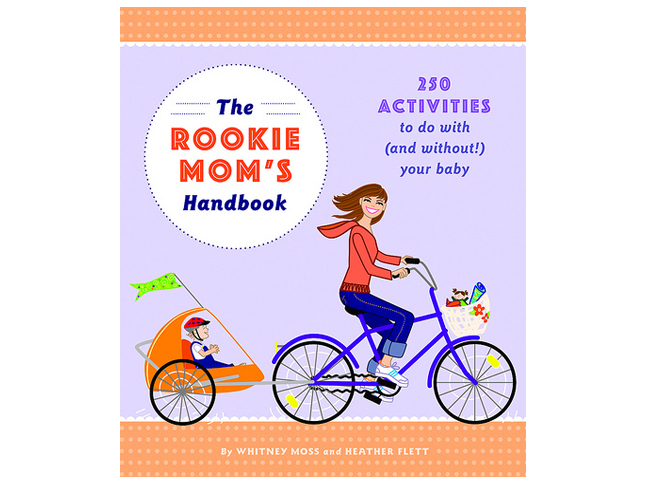 If it’s one of those days when you’re feeling particularly frazzled trying to brainstorm new ideas to entertain yourself and your baby, The Rookie Mom’s Handbook is the perfect book to help keep you on track with your new role as a mom. While much of this book might seem geared towards the stay-at-home mom, almost any of the activities provided can also be done on the weekends or in the evening after work. So don’t waste any more time, read this book and it will motivate you to get out of the house with your new little one.